implementation patterns. This was then expanded to include a case study approach. The research indicates an evolutionary maturity in the adoption and use of BI solutions. business. One type of information system with this specific goal was termed a decision support system (DSS). 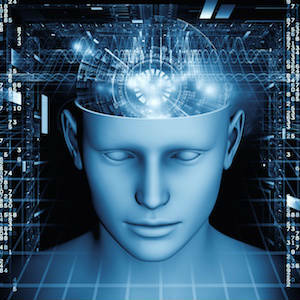 systems, online analytical processing-with business intelligence tending to encompass all. dashboards allow users to drill down, providing greater detail about the performance. McDonald (2004) further attempts to classify many of the BI solutions as shown in Figure 2.
to fit into the BI arena. This article discusses this evolution with specific reference to the leading ERP vendor, SAP. and 45 percent of the total list were also SAP users. overcoming issues associated with poor and disparate systems. This research also identified an evolutionary nature to ERP usage post-implementation. the changes. In the final phase (synergize), process optimization is achieved, resulting in business transformation. stage. They identified three stages. In stage one, companies commence their ERP implementation while simultaneously managing their existing legacy systems. In stage two, the implementation is complete across the organization and the functionality is adopted. In the third stage, the ERP system has been accepted and companies investigate avenues for achieving strategic value from the additional functionality available in the ERP system. partners. This implies increased reliance on BI solutions. This study identified benefits companies were expecting from their systems. The top benefits identified are related to effective decision making and business intelligence. evolved from a transactional focus to a more analytical, strategic focus and incorporate BI functionality. The Davenport study identified benefits companies were expecting from their systems. The top benefits identified are related to effective decision making and business intelligence. that transaction-processing systems (OLTP) are finely tuned for performance, with much of the processing required for analytical processing (OLAP) affecting the performance of the OLTP system. necessitated the use of a separate system for human resource reporting. company’s transaction processing needs; numerous legacy systems are often still operating either due to budgetary constraints or because the ERP system lacks necessary functionality. customers who had implemented three or more modules planned to implement BW in the next two to three years. This group increased to 63 percent when customers had implemented five or more modules. of a marketing and licensing exercise to be included with the ERP system as part of mySAP.com. underlying infrastructure to support specific business situations. important role in this solution, as it acts as the extractor, integrator, and repository for this data. identifies a data warehouse (BW) as the infrastructure to underpin other BI solutions. BW solution has several interfaces that allow end users to create ad hoc queries and drill down as far as the individual transaction documents. to move between systems with different interfaces. conducted via a Web-based survey; phase two involved a follow-up interview with a major adopter of BI solutions. the intended use of various business intelligence solutions was determined. outsourcing, and future technologies. In support of the study, SAP supplied contact details of the key IT executives for each of their customers. proportion of the ERP systems implemented in these sectors. In terms of revenue, companies were spread equally in the under-$500 million, $500 million to $1 billion, and over-$1 billion brackets. Half the respondents had a workforce of greater than 1,000 full-time employees (FTE). Employee numbers ranged from 40 to 6,800 FTE. The average number of SAP users across the sample was 655 FTE. Over half the sample indicated that more than 50 percent of their workforce are SAP users. In phase 2 of this research, data collection was comprised of interviews and access to relevant documents to support the case study. the SAP system. Accordingly, the system was used by relatively few employees. of reports and manipulating data to suit themselves. 2003. BW was selected for the additional functionality it offered-pre-delivered extractors which sourced data from a number of systems. reporting. The next major implementation of BW involved engagement and time-management reporting, which was fundamental to KP’s business and involved all employees. In March 2005, KP implemented SAP’s SEM solution to support profit center budget reporting. All reports delivered via the enterprise portal and the Web. The level and type of reporting is determined by the portal design, which depends on the user’s role within KP. Related reports are connected via hyperlinks, and reports are tied back to SAP’s ERP for further detail. Most reports can be downloaded to Microsoft Excel for additional calculations and manipulation. Default report views are created to address common employee questions. These reports also incorporate context menus to assist with navigation. Some reports are available to senior management via smart phone. For example, a user can access the CRM system for details about a customer and then click on the phone number to call them. represent KPIs graphically across the organization. This also has the facility for management to drill down on any KPI. these challenges are outside the scope of this article. 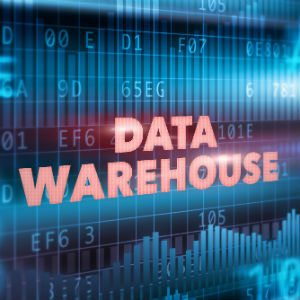 within three years of the completion of the study, 90 percent of the respondents will have implemented a data warehouse. inference, these remaining systems are necessary for processing data and decision making. Often, information is required from both the ERP system and the legacy systems. required only 30 minutes with BW. across the extended supply chain from suppliers to customers to enable planning and decision making. companies would investigate CRM. KP implemented their SEM solution two years after they first implemented BW, which reinforces this concept of familiarization and BI evolution. most of these companies are still coming to grips with the basic CRM functionality rather than investigating the more advanced analytics. The survey results for SEM are surprising, as this solution relies on information related to a company’s overall strategy and the monitoring of KPIs. solutions results in companies striving for more strategic solutions. It is argued that the BI maturity process is similar to how companies evolve with their ERP usage. of other key ERP vendors will produce a more consolidated approach to the development of solutions. solution with less functionality. Experience indicated that, with transaction-processing systems, integration was more important than the extended functionality that “best of breed” offered. the broad reach of their transaction processing functionality. Susan Foster is a lecturer in the School of Information Systems at Monash University. Alter, S. L. Decision Support Systems: Current Practice and Continuing Challenge, Reading, MA: Addison-Wesley, 1980. Benbasat, I., D. Goldstein, and M. Mead. “The Case Research Strategy in Studies of Information Systems.” MIS Quarterly, 11(3) (1987), 215-218. Comley, P. The Use of the Internet as a Data Collection Method, Media Futures Report. London: Henley Centre, (1996). Davenport, T., J. Harris, and S. Cantrell. Enterprise Systems Revisited: The Director’s Cut, Accenture, (2003). Davenport, T., J. Harris, and S. Cantrell. “Enterprise Systems and Ongoing Change,” Business Process Management Journal, Vol. 10, No.1 (2004). Deloitte. ERP’s Second Wave, Deloitte Consulting, (1998). Drucker, P. “The Next Information Revolution,” Forbes, located at www.Forbes.com (1998). Gartner. Predicts 2004: Data Warehousing and Business Intelligence, located at www4.gartner.com, accessed July 2004. (2003). Hammer, M. “How Process Enterprises Really Work,” Harvard Business Review, Nov./Dec. 1999. Holland, C., and B. Light. “A Stage Maturity Model for Enterprise Resource Planning Systems Use,” The Database for Advances in Information Systems, Vol. 32, No. 2 (Spring 2001). Holsapple, C. W., and A. B. Whinston. Decision Support Systems: A Knowledge Based Approach, Minneapolis, MN: West Publishing, 1996. Iggulden, T. (Editor). “Looking for Payback,” MIS, June 1999. Keen, P. G., and M. Scott Morton. Decision Support Systems: An Organizational Perspective, MA: Addison Wesley, 1978. Knights, M. “BI Spending Outpaces Rest of IT Market,” located at www.computing.co.uk/news/1155945 Accessed December 2004. Effectiveness. London: Cambridge University Press, 2001. Mehta, R., and E. Sivadas. “Comparing response rates and response content in mail versus electronic mail surveys.” Journal of the Market Research Society, 37, 429-439, (1995). McDonald, K., A. Wilmsmeier, D. C. Dixon, and W. H. Inmon. Mastering SAP Business Information Warehouse, Canada: Wiley Publishing, 2002. McDonald, K. “Is SAP the Right Infrastructure for your Enterprise Analytics” a presentation at the 2004 American SAP User Group Conference, Atlanta, GA, 2004. 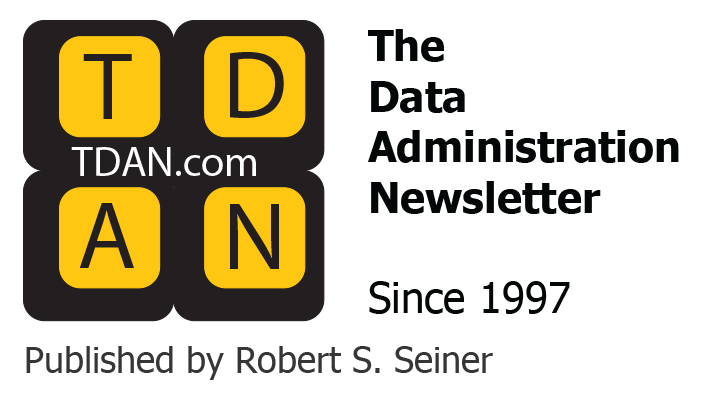 Nesamoney, D. “BAM: Event-Driven Business Intelligence for the Real-Time Enterprise,” DM Review, March 2004. Nolan & Norton Institute, SAP Benchmarking Report 2000, Melbourne: KPMG. Rose, C. M., and N. Hashmi. SAP BW Certification: A Business Information Warehouse Study Guide, Wiley Publishing, 2002. Schlegel, K. SAP BW: Staying One Step Ahead of a Juggernaut, META Group, July 2004. Conference on System Sciences, 2001, HICSS. Stanton, J., and S. Rogelberg. “Using Internet/Intranet Web Pages to Collect Organizational Research Data,” Organizational Research Methods, Vol. 4, No. 3, 199-216, 2000. Stein, A., and P. Hawking. The ERP Marketplace: An Australian Update, Enterprise Resource Planning Solutions and Management, Hershey: IDEA Group Publishing, 2002. Walsham, G. “Globalisation and IT: Agenda for Research,” Organizational and Social Perspectives on Information Technology, Boston: Kluwer Academic Publishers, 195-210, 2000. Yin, R. Case Study Research, Design and Methods (2nd Ed. ), Newbury Park: Sage Publications, 1994.